Great for someone who doesn't have full use of hand or fingers. As I've gotten older (44 really isn't that old) but my hands don't work so delicately anymore. I am a HUGE jewelry wearer and I get so frustrated when I can't clasp my necklaces and bracelets together. By using these I don't have to worry about not being able to wear certain jewelry! Answer to my prayers! I have long fingernails, it is difficult to attach chains, with a magnetic clasp, easy at last! However, you do need to attach accessories to your chain, not so hard! magnetic jewelry clasp is great. attach it to your necklace and you don't have to fumble with it. Ordered for a friend; I also use them. Wish I had got this a long time ago. I am now able to wear necklaces I love and have not been able to close because of stiffness in my fingers. I love these magnetic clasps. They are so easy to use and have a strong hold. I don't have to worry about about it coming undone. I had no problem attaching them to my jewelry. They are very stylish. They make it so easy to put my necklaces on now. Once you successfully grapple with the tiny little clasp that attaches to your necklace, you'll never have to struggle again. I've bought two sets for myself and two for an elderly friend. If you have necklaces that are too short to pull over your head, this is a life saver. It's so easy to use (once you get through the initial struggle. This is an ideal gift for anyone over 50! I have trouble with clasps and this makes it easy to get my necklaces on and off. Have bracelet made from old spoons and couldn't work the clasp so traded and put on the magnets and it works fine. Thought it might be too heavy, but not a problem. No more searching for that tiny hidden classp. Now, I just put the ends together and they are "hooked". Just great for anytime. And they stay connected through anything...work, play, dancing. Anything. I love it. Love these magnetic jewelry clasp! Thes clasp makes helps me put on my choker necklace so easy, don't have to struggle with those tiny clasps they come with that usually take me 5 mins. or longer to put on. With my new clasp just split second. Just love it. I received a lovely bracelet as a gift but it was too small to fasten onto my wrist. I decided to try one of these clasps and it worked perfectly! I did removed the claw fastener and attached the chain to the bracelet. This made the bracelet fit just perfectly. The magnet is strong. To remove, pry open with one of your nails. I will probably put these on more of my bracelets that are hard to fasten. Extreme ease in clasping a chain or neckllace. I have arthritis & can't fasten jewelry but these work. It is wonderful to be able to fasten jewelry again. These clasps have solved my problems. After converting necklaces with this product, I can now wear jewelry that has been in the drawer for years. The magnets are quite strong but care needs to be taken when handling the spring-rings as they are very apt to break apart and become unusable. This is a great idea! It's easy to attach and no need to worry about your jewelry falling off ever again. I love these magnetic jewelery fasteners. They make all my necklaces "easy on-easy off." I recommend them to all my friends. They are especially helpful for those with arthritic hands. This is a great product and easy to use! Good for those of us with impairment in our hands and fingers. You can out your necklaces on by yourself!! I have a few bracelets that have a bar that you place in a circle for a clasp. Under whatever circumstances - am I applauding too hard? - it works its way out. They used to hang on my mirror for decoration after finding them on floor. Now I can wear them again - wow! No fumbling when trying to connect the clasps. They stay connected too. I really like this product. 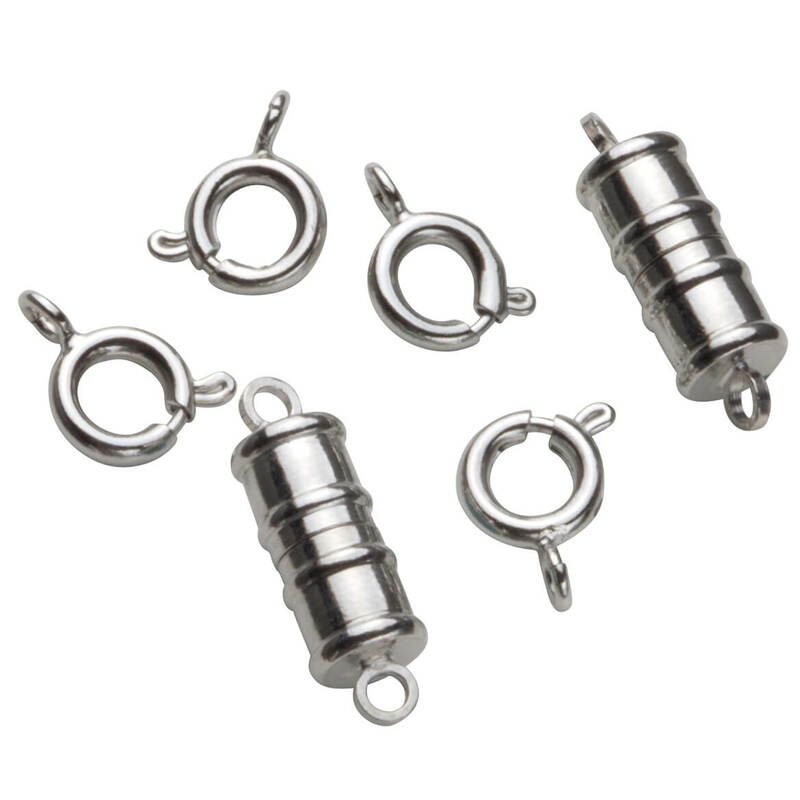 These magnetic clasps make it easy to convert necklaces into easy to wear jewelry. All the parts are included. For arthritic hands, it's a godsend! I bought this product twice already. Very handy!! Great product. Would purchase again. Make sure to buy lots of these so you will have one for each necklace. They are so helpful to have on hand and make putting on a necklace oh so easy! This is the best thing for folks with arthritic hands who have trouble closing bracelets and necklaces. Easy to use and not worried about it getting loose and losing the jewelry item. on jewelry to make putting on and taking off easier as my friend and I have arthritis in our fingers which makes manipulation of hooks difficult, frustrating and time consuming. Made my 95 year old grandmother happy. I bought this to help my grandmother who can't fasten a standard clasp easily. Works very well for her. Easy to get her necklace on and off now. A must for "older women"
As you get older, necklaces and bracelets get hard to fasten. These certainly help. Some of them do not have a very good magnetic hold, but this one appears to. Wonderfully easy to put on a necklace! Was a bit difficult to put on the necklace but once that was accomplished, so easy to put a necklace on and take it off. Makes it possible to wear necklaces I had quit wearing because it was so hard to put them on. Just what I need to wear my necklaces again. After receiving a kidney transplant, I started wearing a medical ID bracelet. The only problem - I couldn't manage the clasp that came with the bracelet. So I found these magnetic clasps on your website and they are perfect! The only drawback was when I wore the bracelet on my dominant hand - the magnets were not strong enough to hold. But on my other wrist they are great! I have quite a few of these magnetic clasps. The ones that work are GREAT. Some do not even come apart so I can use them. Very discouraging. I'd like to have more but am concerned about this issue. Too time consuming to pack them up and return. I tried to use this product on a delicate chain but it was too heavy and kept coming around to the front of my neck. It was easy to use as the clasp on the chain was very small and hard to put together. Attachments were too bulky for my bracelet, but I got it on. Then my bracelet was too large because of the extra length. It would help to have a similar item that is about half the size. May work for some folks who have bold jewelry. For jewelry with ring clasps, this product is okay, although I found it difficult to attach the new clasp to the rings of the original fastener. But it is impossible to use this with the oval fasteners that come on expensive jewelry. I found the magnets to be too heavy and would end up in the front of my necklaces next to the pendent; not the look I was looking for! THE CONCEPT OF A MAGNETIC CLASP APPEALED TO ME AS I HAVE TROUBLE WITH CLASPS ON NECKLACES. 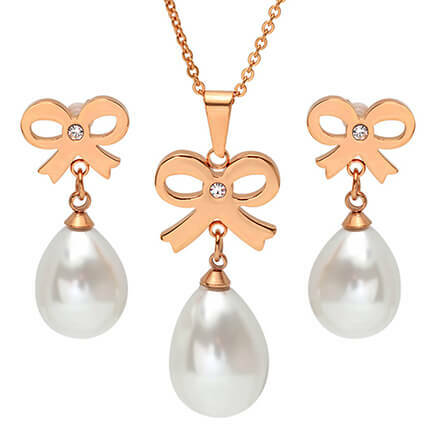 THE SPRING CLASP ON THESE ARE WAY TOO SMALL TO HANDLE AND ATTACH TO THE NECKLACE. AFTER 2 HOURS I FINALLY GAVE UP. DON'T KNOW WHO THE DESIGNER IS ON THESE MAGNECIT CLASPS, BUT I'M BETTING ON A MAN LOL. THE IDEA IS GOOD BUT THE PRODUCT IS NOT SO HOT. It doesn't work like it is advertised!!!!!!!! When i finally installed the clasp, there was a bump at the connection, not the smooth line I had expected. This product was a waste of money. Need jewelry tools to fix product. Cost of shipping back is almost as much as product cost. My nails do not allow me to use the clasps which come on most necklaces. Your magnetic clasps make it possible for me to wear my favorite necklaces. Thank you! They work better and last better (without turning) than any others I have found in a long time. This item was also ordered for the same reasons as the item before. My hands keep dropping things and I cannot close necklaces without these magnetic ends. I have used them in the past and they work very well. So I am ordering more. Just love them. A friend has severe rheumatoid arthritis. This will make it easier for her. Need to make necklace easier to use. Makes it easier to take neck chain off. Item appears to be helpful and economic. It is easier to put the necklace on. I have some of these for my other necklaces and I am just adding to my collection of them. They work great! I received a lovely bracelet for Christmas. Unfortunately, it is slightly too small for the size of my wrist. I thought something like one of these magnetic jewelry clasps would be just the thing I would need to help make the bracelet fit just right. For easier dressing with my smaller necklaces. I've used these before and love them, so I bought some more. I use these items to help with the jewelry I wear and Miles Kimbell is the only place that has all of them. Besides, it is so easy to find them. I like the fact you don't need tools to put these together. I'm having trouble clasping a bracelet, so I thought I'd try these. Have several sets of these, love them...so easy to use, and they make putting on and taking off my necklaces a breeze!! I have trouble putting on necklaces and hope this will solve my problem. I have a hard time with clasps so I thought I would try these. Hope they work. Already purchased some and just what I need to be able to clasp necklaces and bracelets with arthritic fingers. Now ordering more sets so won't have to change from one item to another often. Because I have trouble putting my necklaces on myself. I purchased the jewelry clasps before and find them so much easier to fasten my necklaces. Makes putting on necklaces so much easier. 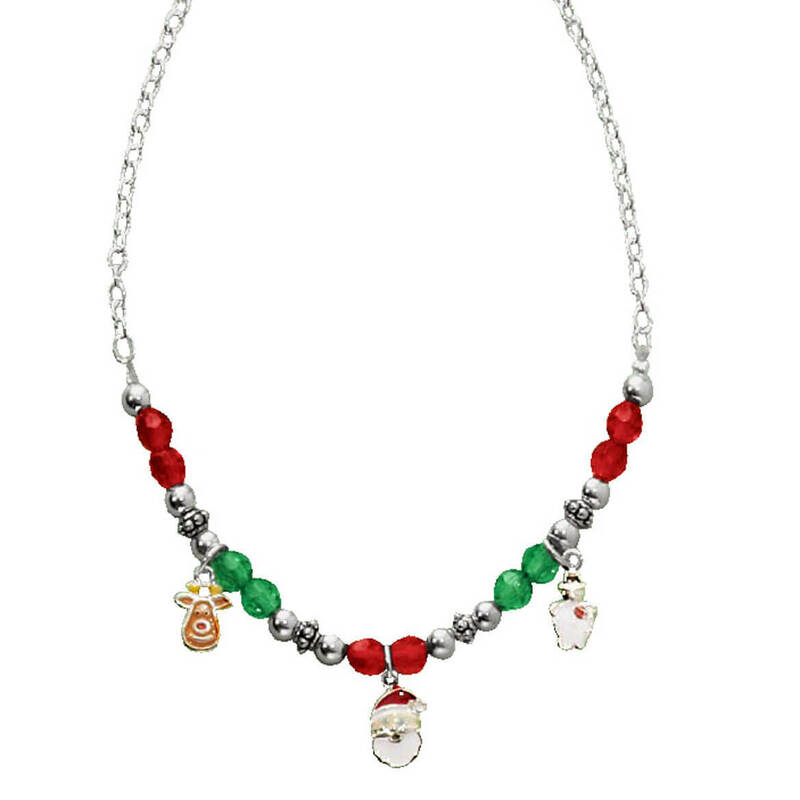 I chose this initially for my 91 year old mother who cannot fasten some of her favorite necklaces. Then I thought it would be a good idea for me as well. It is difficult for me to close the tiny rings on my necklaces and a friend of mine had this item. I looked on the web and found this. I have arthritis in my hands and this makes it easy for me to wear necklaces. Because they work so well and are so much easier to use. The picture showing 2 barrells and 2 circle hoops, are just the hoops magnetic? BEST ANSWER: Only the two barrels are magnetized. They split in the middle and are connected to your chain with the circle hoops. Each barrel needs two hoops, one on each side. The barrels are magnetic. 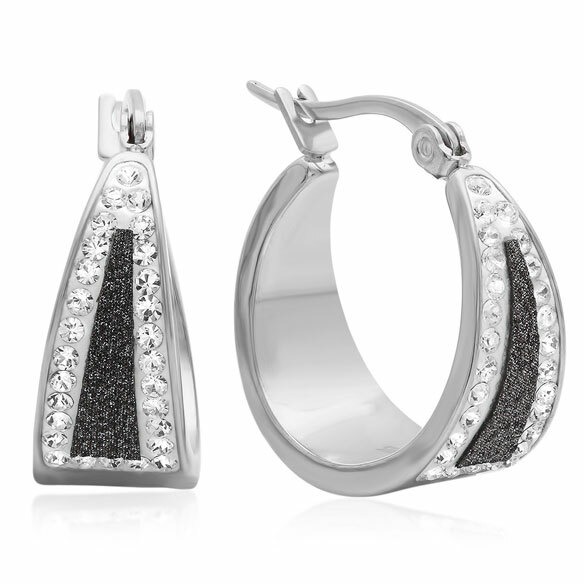 The hoops are not and are for attaching to the existing clasp. Do they come in silver as well as gold color? BEST ANSWER: Thank you for your question. The Magnetic clasps come in both Silver and Gold. Click the drop down for the style and you can select the color. We hope this information will be of help to you. I have bought both the silver color and the gold color. They work very well, have a strong grip so they will not come apart when you use them. How big are these clasps? 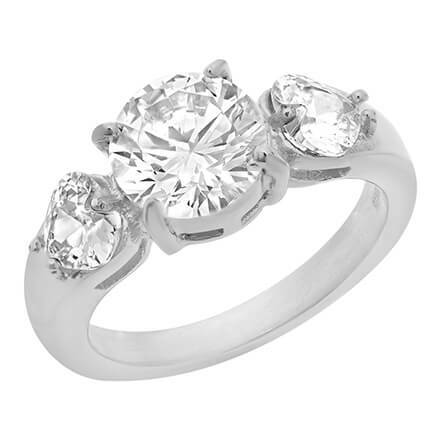 BEST ANSWER: If you use both spring ring clasps with the magnetic pieces, the total length is 1.5 inches. When I used these, I left off one of those clasps which extended the length to 1 inch. The loops at the ends of the magnetic pieces are large enough to connect one side with the jewelry piece's clasp. Thank you for your question. 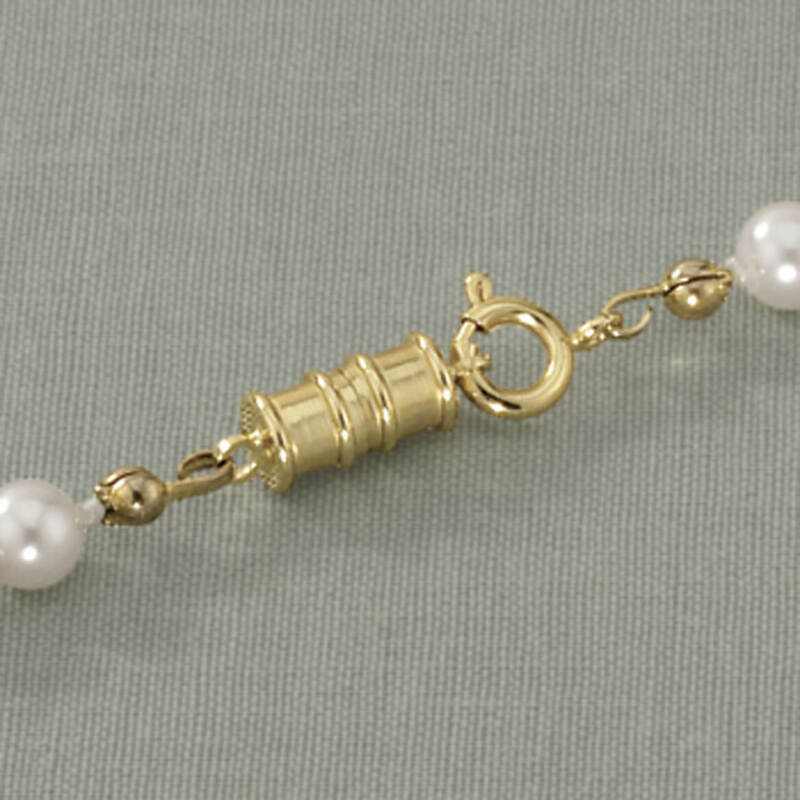 The opening for any necklace is 1/8" so the clasp would be small. We hope this information will be of help to you. how many necklaces will this order? BEST ANSWER: Thank you for your question. You use this set on 2 necklaces. We hope this information will be of help to you. 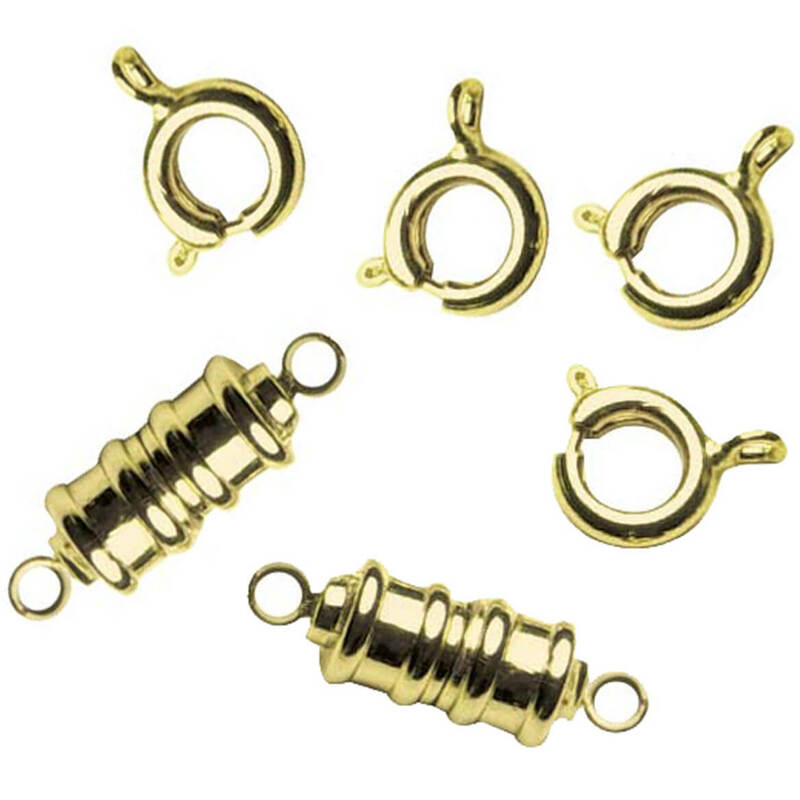 Do you have magnetic necklace clasps in sterling silver and 14k gold? Thank you. BEST ANSWER: Thank you for your question. No we do not. They are only goldtone and silvertone plated. We hope this information will be of help to you. 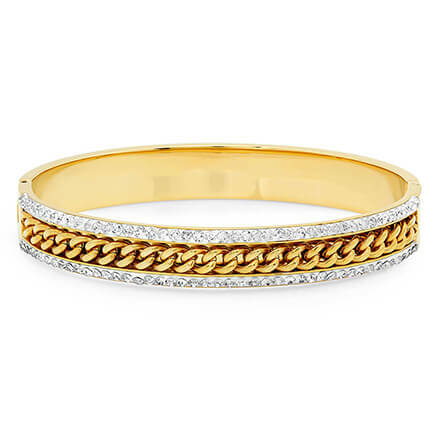 Does the goldtone clasp tarnish like the other ones? BEST ANSWER: No., But I do prefer the larger ones, due to my fingers have to grasp items.